The idea of a video game show has always fascinated me somewhat. 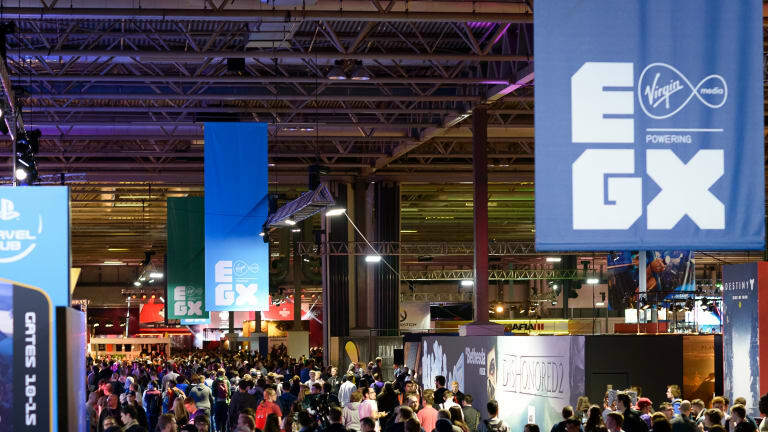 As somebody who has always tried to keep up with all the latest happenings in this industry that we all love, I’ve always been utterly infatuated with the concept of attending EGX. Before I go any further down the rabbit hole of my inner musings, humour me and allow me a little back story to set the scene. This time last year I wasn’t involved in video game journalism at any kind of capacity. As I alluded to earlier, I was a fan of the industry – this very site in fact being my go to place during lunch breaks or any kind of free time, to check the latest rumblings from the inner belly of Nintendo. Deep down I must have always had notions to someday get involved, but I was little more than a fanboy spamming the forums of Nintendo Life with my opinions on all things Nintendo. That all changed in April 2018 when I reached out to an Indie site, The Switch Effect, and after a brief audition process, including writing a review for the title I was playing at the time – Thimbleweed Park, I eventually landed an unpaid position reviewing Nintendo Switch games. I was over the moon. Not only was I receiving games for ‘free’ but I now had a creative outlet for my other great passion in life, writing. Fifty reviews later and I now run my own site, Nintendad.co.uk, which is an altogether different challenge but one that I am utterly enjoying and learning from every single day. I apologise though, I have digressed somewhat. Back to the topic at hand, EGX. When in 2016 it switched venues from London to Birmingham, truth be told I was a little bit gutted. Being a southern lad the jaunt up to London is very manageable, just over an hour on a single train. Navigating my way to the mean streets of Birmingham is an altogether different proposition and with the inordinate cost of travel in this most opulent of countries, I’d likely have to remortgage the family estate to even afford the train fare. All jokes aside, Birmingham was never a viable option, even more so now with a young family. The news that EGX 2019 would be returning to its rightful home in the nations capital, was met by, certainly in the eyes of this most servile scribe, a strange sense of sincere intrigue. When the news broke in November, Nintendad was in full swing. I had formed an unlikely partnership and was receiving review copies of Nintendo IP’s, something I never dreamed of in even my most lucid moments. When my excitement levels returned to their usual standings, the apprehension kicked in. This time next year I could be mingling with my heroes – writers and content creators that had shaped my very being and helped me, whether they were aware or not, to have the courage to branch out from the safety of holding the position of a games reviewer, to running my own site along with everything that it entails. When October 17th rolls around, I hope to be there, fighting the good fight and representing the good ship Nintendad, bringing news and opinion straight from the show floor. Hopefully I can control my nerves when I inevitably bump into so many familiar names and faces, albeit people I’ve never even met before. Maybe getting some practice in first will help me get ready for the big day. Perhaps EGX Rezzed in April will be a good place to start.